Mulich Realty is Augusta’s most professional provider of home ownership services in Augusta, for homes for sale in Augusta, GA. Mulich Realty is a HUD approved / certified Real Estate Broker in Augusta Ga. Contact Mulich Realty today to sell your home or buy a home in Augusta, GA. Our Realtors and real estate agents specialize in the Augusta, GA real estate market, and homes for sale near Fort Gordon. Whether you are buying or selling a new home, town house, condominium or apartment, Mulich Realty will help you find a property by map, MLS listing number, or price. 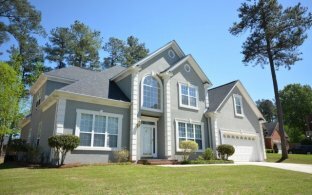 With over 2 million homes for sale, mulichrealty.com is your one stop destination for the latest Augusta, GA real estate listings, virtual tours and open houses in Augusta, Georgia. Augusta is a city vibrant with life. Abounding with culture, Augusta is home to considerable art exhibits and museums. It´s easy to see why Augusta homes for sale are so in demand. With a range of fine dining establishments, fine shops and lively entertainment, Augusta has whatever you need to fill your calendar. If you enjoy the vibrant atmosphere of living in the city, Augusta is where you want to be. Bordering the Augusta Canal and the Savannah River, you can find many waterfront homes. Whether you´re interested in the condominiums that are perfect for the first time home buyer or you want a family home on a large lot, you can find what you´re looking for in Augusta. We even specialize in homes for sale near Fort Gordon. Use the Search the MLS feature to find a home that meets your needs today. It doesn’t matter whether a home is listed with Meybohm ©, Blanchard and Calhoun ®, Century 21 Keller Williams ®, Jeff Keller ®, or any other Brokerage in town – all homes in the MLS are right here on this site. Evans is located in Columbia County, Georgia and is a charming place to buy a home. The surrounding cities of Augusta, Martinez, and Harlem with their beauty make Evans a in-demand city for families to call home. With the selection of homes for sale you will locate the ultimate investment for your dynamic or calm lifestyle. You will have the coziness and friendliness of a suburban neighborhood in Evans, of Columbia county. Evans allows the effortless lifestyle while offering the usefulness of urban amenities a stone’s throw away. Search our homes for sale and let me help you find the home of your dreams. Please feel free to contact me for assistance in Evans or surrounding areas. You can view our featured listings to see what´s on the market in Evans currently. If you are interested in finding properties for sale in Augusta, Evans, near Fort Gordon, and Richmond county this is the right place. View city information on Augusta, Evans, as well as the surrounding Richmond county cities. If you are a first time home buyer having a qualified Augusta real estate professional will be a great asset. For those contemplating placing your Evans home for bid on the current market you can have confidence that you will receive help marketing your home effectively. If you are thinking about investing in Augusta real estate or Evans real estate it is incredibly helpful to have the direction of a seasoned specialist. Richmond county listings are viewable instantly by utilizing the MLS search provided at no cost. Receive expert advice on Augusta real estate. Call today! Whether you´re buying or selling, you can use this website as a jumping off point. Gather helpful buyer and seller tips, free real estate reports and get information on the current market value of the homes in the neighborhood you´re interested in. Please feel free to contact us with any questions and concerns you may have.